Second hand catering equipment is a good option? 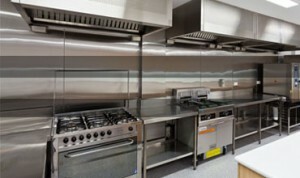 Second hand catering equipment is in most cases cheaper than a new one. Regardless of our decision to purchase a used catering equipment or a new one must keep in mind several issues. We will analyze further. Many caterers have started a business which unfortunately was located in an area was inadequate. Faulty lines for management and ended up bankrupt. 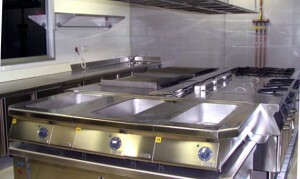 Although the initial investment was made with brand new catering equipment although they have not worked very long acquired the status of equipment used therefore the value has fallen drastically. 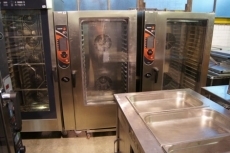 Attention in buying second hand catering equipment! When the company decides to sell catering equipment at a low price to recover some of the initial investment. Another situation is that a company he turned. Or needs new catering equipment and lack of space or money for new investments are forced to sell some of the equipment already purchased. So reach the market catering equipment used or second hand. But among these products that you can find quality catering equipment and second hand but were discarded because they were defective. These were collected for recycling and were sold for nothing on firms that go on sale but have not qualified personnel to check and repair them properly. Thus reach the market of catering equipment are second hand scrap. If your decision is to purchase a echipsament second hand catering must purchase from companies that have a high degree of professionalism and offering extended warranty products they sell. Tips for buying second hand catering equipment! Do not buy second hand catering equipment at an exaggerated price low because it conceals major faults. Careful and do not buy catering equipment from private sellers because they offer no warranty. Do not buy second hand catering equipment from Ebay who do not have the option of return. Never do not buy second hand catering equipment with a reduced warranty example 3 mounth. I a big risk to buy catering equipment from metal collectors. If you want free advice on diet http://costaengineers.co.uk visit or send email to costaengineers@gmail.com with your questions. We will answer with pleasure.